If your travel wish list doesn’t include the Philippines, rethink it. Not only does this tropical island archipelago offer gorgeous beaches, thumping cities and incredible cuisine throughout, the Philippines have quietly become the hot new honeymoon destination too. Plan your trip with our essential Philippines travel guide and get the most out of your next visit. 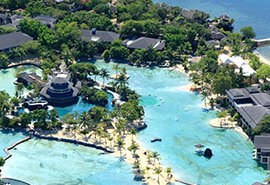 Just above the equator, the islands of the Philippines are a hot destination, year-round. For the most comfortable temperatures, plan your visit between November and February, the region’s cooler months. The summer months of March to May are especially hot and dry. If possible, try to avoid travel to the Philippines from June to October, the wet season, with July through September being especially rainy and susceptible to typhoons. Various cultures have influenced the Philippines over the centuries, creating a fusion of East and West ideals evident in everything from language, religion and architecture to music, fashion and cuisine. 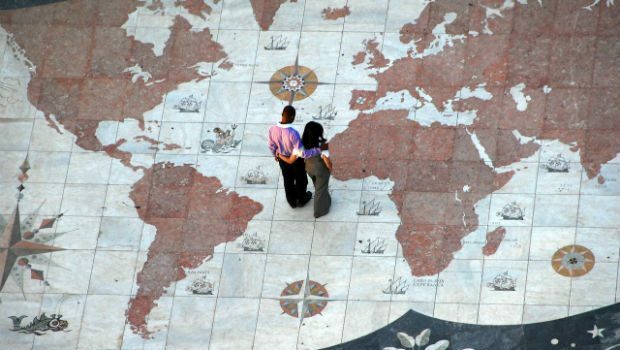 Its stunning Baroque churches, remnants of Spanish colonialism, are UNESCO Heritage Sites, and its former status as a U.S. territory makes getting by with English easy. The picturesque Philippines are a photographer’s dream. Trek through peaceful rice paddies to the mountainous interior, explore remote jungles or climb a volcano, but whatever you do, don’t miss the Chocolate Hills! The beaches on the islands of Palawan and Boracay are repeatedly named some of the most beautiful in the world. Well known for their aquatic treasures, watersports reign supreme, from world-class diving to snorkeling with whale sharks. Its abundant and quality dive sites, matched with reasonable rates, have made the Philippines a diving mecca. If you prefer your beach time less active, lounge on countless idyllic stretches of sand on any one of the more than 7,000 islands. With a variety of influences, Filipino food is a beautiful blend of Asian, European and American styles and flavours. Fresh seafood and local fruits are staples of island fare and the Philippines are no different. 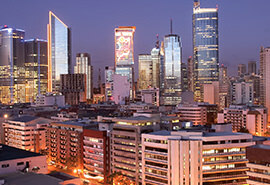 Between the fast-food joints and world-class gourmet restaurants, you will not go hungry here! 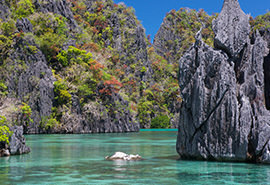 The Philippines have become an important stop on many cruise line itineraries, including those offered by Celebrity, Princess, Holland America and Royal Caribbean. Pristine beaches, world-class shopping and sightseeing have all become popular activities from any port of call your cruise includes. The capital may overwhelm with hustle and bustle but its energy is infectious. Shop till you drop browsing international brands as well as talented Filipino designers. Feast on incredible local dishes or international favourites and dance the night away with a seemingly never ending option of bars and nightclubs. The annual Conde Nast Traveller’s Readers Choice Awards have ranked Palawan the #1 Island in the World for the last three years. 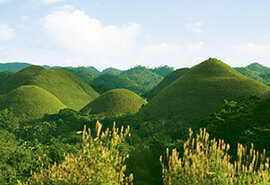 Its drool-worthy natural beauty makes it a must-see stop for anyone visiting the Philippines. Sparsely populated, Palawan is an unspoiled collection of pristine beaches and wild jungles, holding some of the country’s best resorts. Consisting of the main island and over 150 surrounding islets, Cebu is another watersport gem. Regarded worldwide as one of the best diving destinations, Cebu’s colourful reefs and plentiful marine life are its biggest draw. Cebu City is the country’s oldest city and original capital, exploding with nightlife, great shopping and tasty eateries throughout. One of Philippine’s most photographed regions, Bohol’s surreal Chocolate Hills and powder-white sand beaches remain its biggest draw. Lush jungles host Bohol’s famous tarsiers, the province’s unofficial ambassadors. 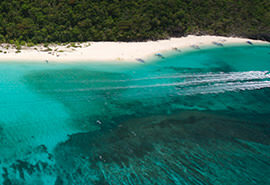 Hiking, scuba diving, kayak and paddle-boarding are also on the menu in this remarkable island masterpiece. The UNESCO World Network of Biosphere Reserves have recently added Albay’s waterfalls, natural springs and pristine forests to their prestigious list, and it’s easy to see why. 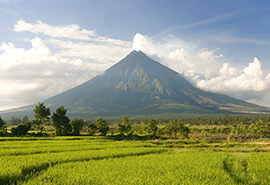 Albay is a province in the island of Luzon, and its capital, Legazpi, is the gateway to the world’s most perfect volcano. It may be tiny but Boracay and its dazzling beaches is one of the country’s most visited islands. Four-kilometer long White Beach is a regular on numerous lists of the world’s best beaches, drenched in sun-seeking crowds, seafront resorts, busy dive shops and inviting restaurants. 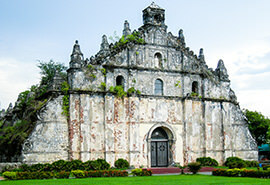 Colonial Spanish architecture, namely ornate Baroque churches and the historic city of Vigan, have garnered Ilocos 3 UNESCO World Heritage Sites. Charming cobblestone streets and horse-drawn carriages transport the visitor to another place in time, showcasing the history of the Philippines. Surf’s up! 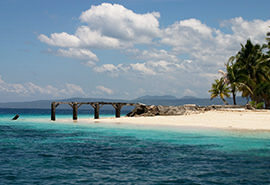 Siargao Island is the Philippine surf capital and yet another popular destination for divers. The surrounding reefs make for ideal surf breaks and hold great marine biodiversity, optimal for incredible snorkeling and diving. Glorious weather and an endless stream of activities make the Philippines perfect for a multi-generational getaway, with something to do for everyone. 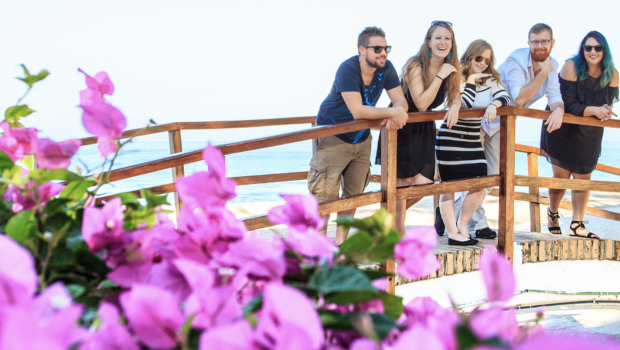 Non-stop fun lurks around every corner and on every island, where family-friendly resorts make vacationing safe, easy and ideal for the whole family. Exclusive oceanfront resorts, upscale spas and world-class dining make the Philippines a perfect choice for those seeking a touch of luxury when travelling. Add some open-air beach massages, high-end shopping and a favourable exchange rate, and the value quickly becomes a no-brainer. From weddings and honeymoons to quiet getaways that help you reconnect, the Philippine islands are the place to be with the one you love. 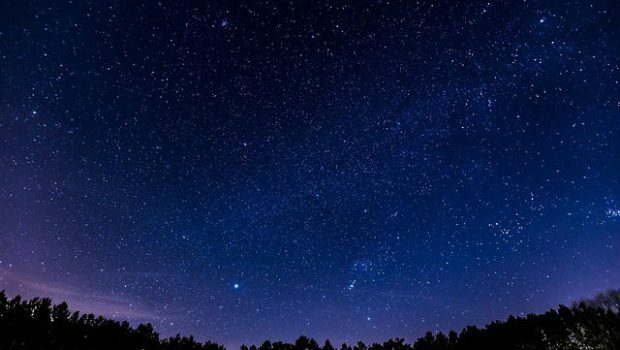 Watch the stars in Palawan, stroll the beaches of Boracay or retreat to your enchanting private villa, surrounded by breathtaking natural beauty - romance is everywhere. A plethora of conference facilities, rentable convention centres and hotels and resorts offering well-equipped meeting rooms make the Philippines an ideal destination for affordable work travel. Mix business with pleasure in a relaxed environment, with plenty to do in your free time. Blending Indonesian, Malay, Indian, Chinese, Spanish and American styles and flavours, Filipino fare is as intricate as it is delicious, satisfying many tastes. If your palate is less adventurous, familiar comfort food is never far away.